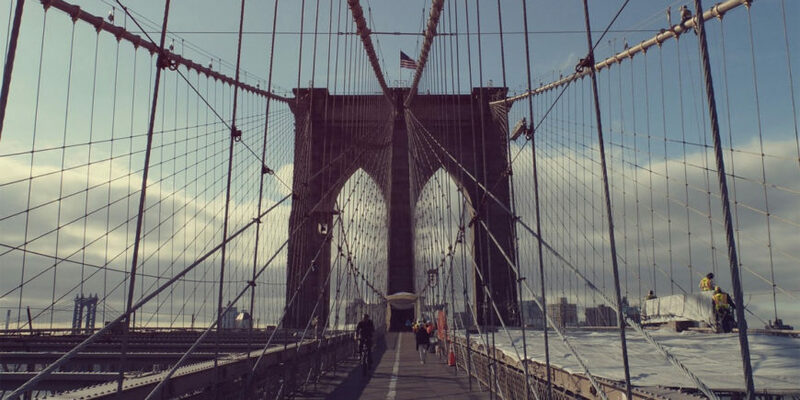 The Brooklyn Bridge was initially designed by German immigrant John Augustus Roebling, who had previously designed and constructed shorter suspension bridges, such as Roebling's Delaware Aqueduct in Lackawaxen, Pennsylvania, Waco Suspension Bridge in Waco, Texas, and the John A. Roebling Suspension Bridge in Cincinnati, Ohio. The Brooklyn Bridge was initially designed by German immigrant John Augustus Roebling, who had previously designed and constructed shorter suspension bridges, such as Roebling’s Delaware Aqueduct in Lackawaxen, Pennsylvania, Waco Suspension Bridge in Waco, Texas, and the John A. Roebling Suspension Bridge in Cincinnati, Ohio. While conducting surveys for the bridge project, Roebling sustained a crush injury to his foot when a ferry pinned it against a piling. 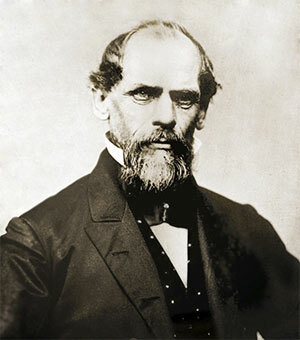 After amputation of his crushed toes he developed a tetanus infection which left him incapacitated and soon resulted in his death, not long after he had placed his 32-year-old son Washington Roebling in charge of the project. Washington Roebling also suffered a paralyzing injury as a result of decompression sickness shortly after the beginning of construction on January 3, 1870. This condition, first called “caisson disease” by the project physician Andrew Smith, afflicted many of the workers working within the caissons. Roebling’s debilitating condition left him unable to physically supervise the construction firsthand. Roebling conducted the entire construction from his apartment with a view of the work, designing and redesigning caissons and other equipment. He was aided by his wife Emily Warren Roebling who provided the critical written link between her husband and the engineers on site. Under her husband’s guidance, Emily studied higher mathematics, the calculations of catenary curves, the strengths of materials, bridge specifications, and the intricacies of cable construction. She spent the next 11 years assisting Washington Roebling, helping to supervise the bridge’s construction.